Students are unable to be covered under UM Enterprise Agreement with AWS but they can receive credits through AWS's Educate program. Faculty and Staff can enroll in Educate to receive credits, but should request their AWS account first. Important: Consolidated Billing is not currently supported with Educate. We will notify subscribers when AWS allows this with Consolidated Billing. 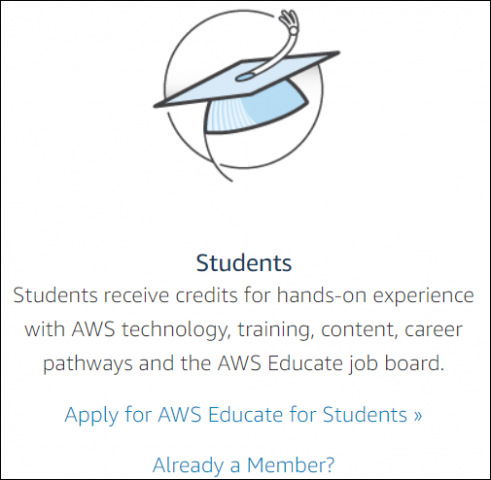 Click Apply for AWS Educate for Students. 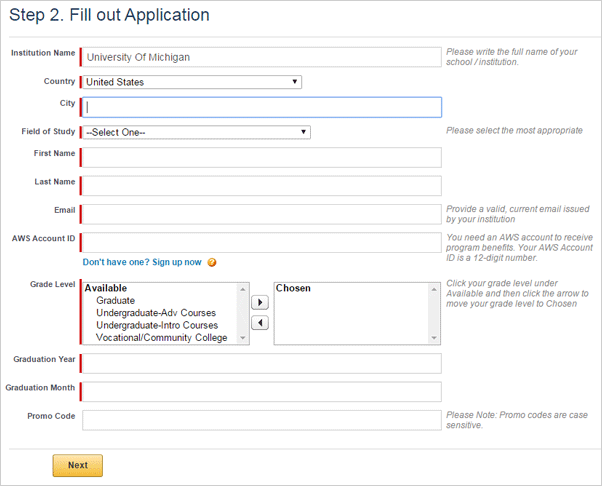 Enter University of Michigan in the Institution Name field. Enter your U-M-issued email address in the Email field. 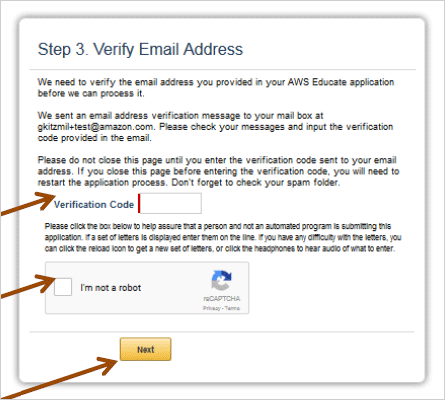 Note: AWS will send you a verification code in the email address you specified during account setup. Enter the code you received by email into the Verification Code field. Accept the AWS Educate Terms & Conditions. Note: This completes your portion of the enrollment. AWS needs to process the request. You will receive a welcome email from AWS when the setup is complete.